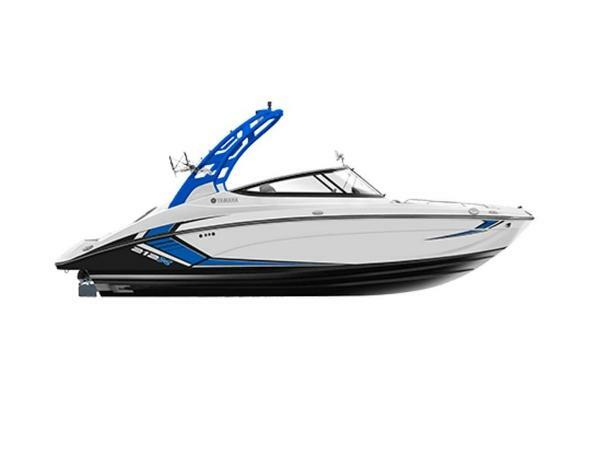 2019 Yamaha 212X SAVE THOUSANDS ON THIS NEW 2019 YAMAHA 212 X WITH FACTORY INSTALLED WAKE TOWER! 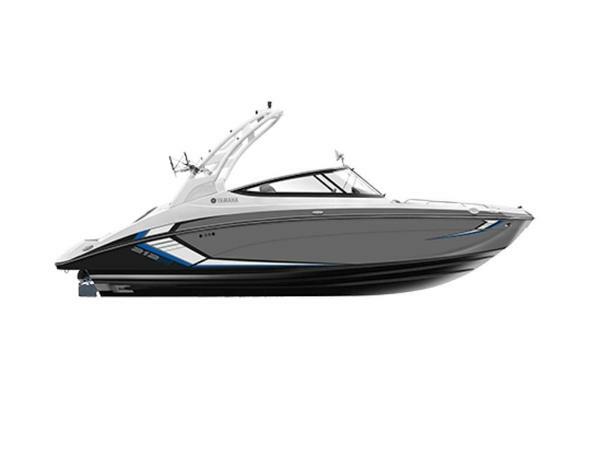 This jet boat is powered by twin high-output Yamaha 4-stroke 1.8L (1,812cc) EFI marine engines with Yamaha Engine Management System (Y.E.M.S.). 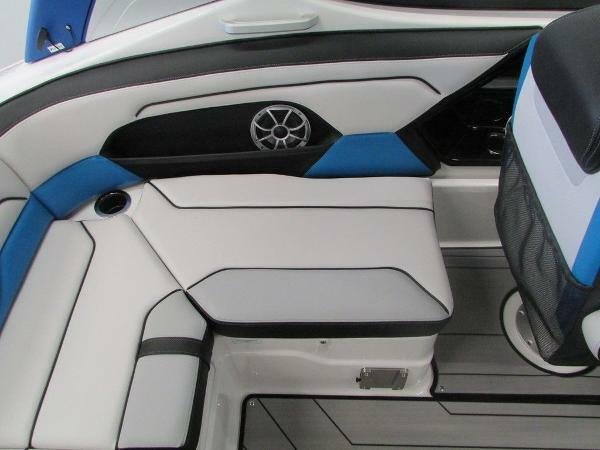 Features include: factory installed aluminum folding wake tower w/Wet Sounds sound bar, bimini top w/stainless frame, convex windshield mirror, full walk-thru windshield w/center fold-n-stow door, removable dinette table w/beverage holders and (2) bases, portside entertainment station w/lockable glove box, Connext touch screen instrumentation w/joystick, AM/FM bluetooth stereo w/USB-AUX input and speaker upgrade package, (8) Wet Sounds speakers, Fushion transom stereo remote, Yamaha’s patented Articulating Keel, Yamaha “No-Wake” mode system w/cruise assist, Yamaha SurfPointe, triple tank ballast system (adding up to 1,100 lbs of weight), auto bilge pump, blower, electric horn, navigation lights, courtesy lights, 12-volt power outlet, tilt steering wheel, bow anchor storage locker, bow 3-step telescoping boarding ladder, large bow seating area w/under storage, removable bow filler cushions, (2) stainless bow safety rails, driver and passenger swivel reclining bucket seats w/sliders and flip-up armrests (driver’s seat has flip-up bolster), U-shaped cockpit seating w/storage, removable cooler, in-floor ski/board storage, fiberglass no-slip floor w/snap-out premium teak-style marine grade floor mat, beverage holders, stainless safety handles, walk-thru center transom w/removable seat cushion, hinged seat cushions, integrated padded swim platform w/3-step telescoping boarding ladder, stern stainless ski/tow hook, (6) pop-up stainless mooring cleats, stainless rubrail insert, 50-gallon fuel tank, (2) marine cranking batteries, on/off battery switches and an emergency parallel switch, fire extinguisher, 10 person capacity, limited lifetime hull (3-year component) warranty and 1-year engine warranties. Also included is a tandem axle Shorelandr bunk trailer including: surge disc brakes, swing tongue, 14” chrome wheels, matching spare tire w/mount, diamond plate fender steps, swivel jack, tie down straps, and bearing buddies. Trades will be considered and delivery is available. Competitive financing rates and terms are also available. Approximate payment of $434/mo. w/20% down for 180 mo. (WAC). Leaders RPM is one of the largest marine and powersports dealers in the Midwest with over 70,000 sq ft of showroom, parts, and service under one roof located in Kalamazoo, MI. Price is plus freight, prep, and sales tax/fees and is subject to change without notice.